Veracel is a certified company in the FSC® and CERFLOR forest standards, with each system having its own specific principles and criteria. With 26 years of operations and consistent results, we are a consolidated reference in the national market in terms of productivity and quality. 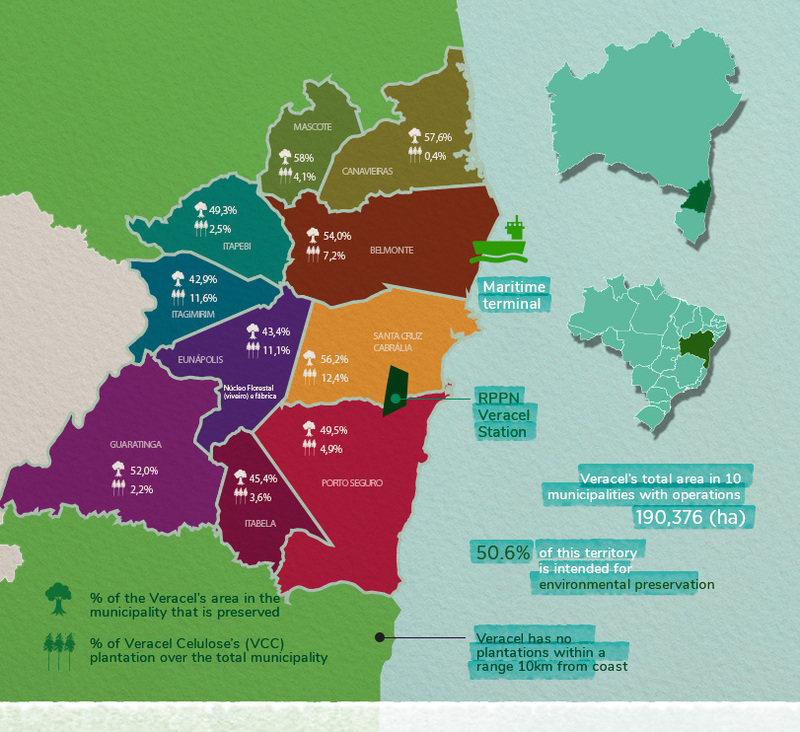 Veracel’s total area: 227,172 hectares (ha), of which 218,540 ha are in Bahia and 8,632 ha are in Minas Gerais. 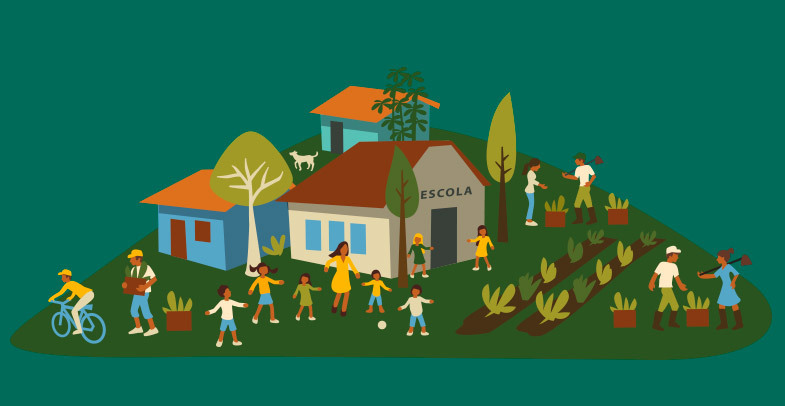 The lands located in Minas Gerais are not linked to the plant supply. 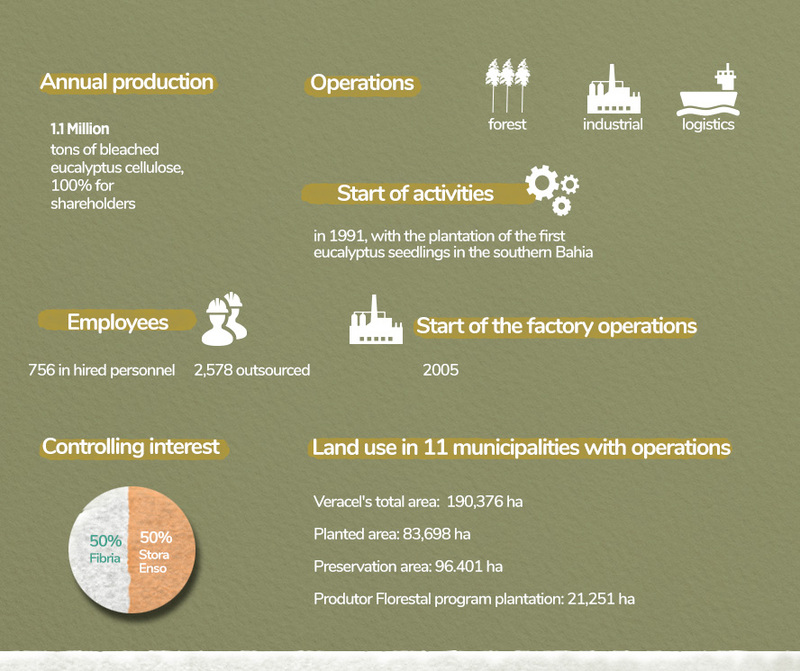 Veracel’s total area: 227,172 hectares (ha), of which 218,540 ha are in Bahia and 8,632 ha are in Minas Gerais. The table considers the certified management area which supplies wood to the plant for cellulose production. All information includes own and leased areas. In February 2018, before the conclusion of this report, the governance transition period, started in May 2017, came to an end, with the departure of former CEO Antonio Sergio Alipio. The Management Committee, composed of one representative of each shareholder, handed over the company’s leadership to the new CEO, Andreas Birmoser. In addition this position, other three directors form the company’s management. Thus, during most part of the year, the governance structure was formed by the following bodies: Executive Board, to which the Management Committee and the Audit Committee were associated. All of them worked under the senior management’s supervision. However, the change does not alter the principles of our management model, based on processes, policies, practices and regulations, which ensure transparency to our company’s management. The Executive Board is the Veracel’s highest governance body. Consisted of two shareholders’ representatives, it is responsible for supervising management, establishing the company’s strategic guidelines, investments, finances and organization, receiving information from and reporting to shareholders. It is also the responsible for electing the directors. It is composed by the shareholders’ representatives and two representatives of the Executive Board. Its objectives are monitoring (i) the financial reports’ quality and integrity, (ii) compliance with legal, statutory and regulatory standards, (iii) the adjusted processes related to risk management and internal controls; and (iv) the internal and independent auditors’ activities. They support the directors’ decision-making: Legal, Financial, Industrial, Forest and Sustainability groups. Click here and know the Veracel Code of Conduct. to all employees, not just for newcomers. In all, there were 443 hours of training on this document. Use sustainable practices and technological excellence to transform renewable resources into high-quality bleached cellulose fiber. Be a global benchmark in Sustainability.